food giants are pushing deeper into the wilderness. COLONIA BERLIN, Bolivia — A few months ago, a representative from Cargill traveled to this remote colony in Bolivia’s eastern lowlands in the southernmost reaches of the vast Amazon River basin with an enticing offer. The American agricultural giant wanted to buy soybeans from the Mennonite residents, descendants of European peasants who had been carving settlements out of the thick forest for more than 40 years. The company would finance a local warehouse and weighing station so farmers could sell their produce directly to Cargill on-site, the man said, according to local residents. One of those farmers, Heinrich Janzen, was clearing woodland from a 37-acre plot he bought late last year, hustling to get soy in the ground in time for a May harvest. “Cargill wants to buy from us,” said Mr. Janzen, 38, as bluish smoke drifted from heaps of smoldering vegetation. His soy is in demand. Cargill is one of several agricultural traders vying to buy from soy farmers in the region, he said. Cargill confirmed the accounts of colony residents, and said the company was still assessing whether it would source from the community. That decision would depend on a study of the area’s productivity and land titles, said Hugo Krajnc, Cargill’s corporate affairs leader for the Southern Cone, based in Argentina. “But if a farmer has burned down its forest we’ll not source from that grower,” he said. In the Brazilian Amazon, the world’s largest rain forest, deforestation rose in 2015 for the first time in nearly a decade, to nearly two million acres from August 2015 to July 2016. That is a jump from about 1.5 million acres a year earlier and just over 1.2 million acres the year before that, according to estimates by Brazil’s National Institute for Space Research. Here across the border in Bolivia, where there are fewer restrictions on land clearance, deforestation appears to be accelerating as well. About 865,000 acres of land have been deforested, on average, annually for agriculture since 2011, according to estimates from the nongovernmental Bolivia Documentation and Information Center, an area nearly the equivalent of Rhode Island in size. That figure has risen from about 366,000 acres a year, on average, in the 1990s and 667,000 acres a year in the 2000s. Now, a new study by an environmental advocacy group points to fresh indications of large-scale forest-clearing by Bolivian and Brazilian farmers who trade soybeans with Cargill. 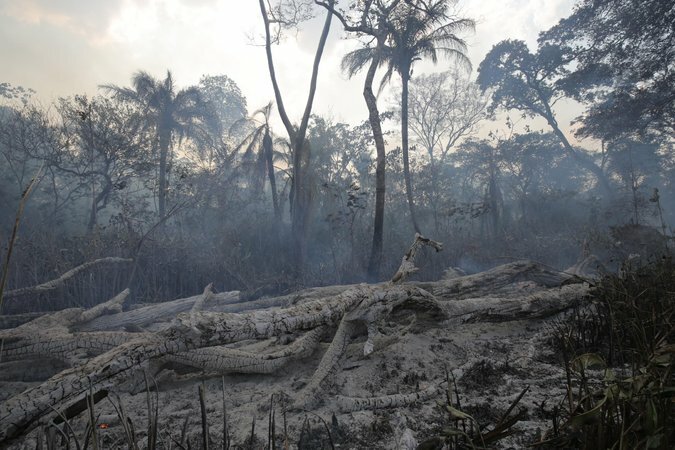 That organization, Washington-based Mighty Earth, used satellite imaging and supply-chain mapping information from the Stockholm Environment Institute, an environmental think tank, to identify deforestation in Brazil where two American-based food giants, Cargill and Bunge, are the only known agricultural traders. The supply-chain mapping by the environmental institute uses customs, shipment and storage data, as well as production data from Brazilian municipalities to trace agricultural exports back to producers. According to Mighty Earth’s analysis, the Brazilian savanna areas in which Cargill operates, a region called the Cerrado, saw more than 321,000 acres of deforestation between 2011 and 2015. Mighty Earth also linked Bunge, the other agricultural giant, to more than 1.4 million acres from 2011 to 2015. In Bolivia, where supply-chain mapping is not available, Mighty Earth sent employees to areas where Cargill operates. The organization used drones to record the clearing of forests and savannas in areas where Cargill operates silos. The study was funded by the Norwegian Agency for Development Cooperation and a nongovernmental organization, Rainforest Foundation Norway. A reporter for The New York Times independently traveled to remote areas of Bolivia described in the environmentalists’ report and interviewed farmers engaged in deforestation who said they sold soy to Cargill. The farmers described what they called Cargill’s push to increase its purchases of locally produced soy and its attempts to enhance bonds with local producers. 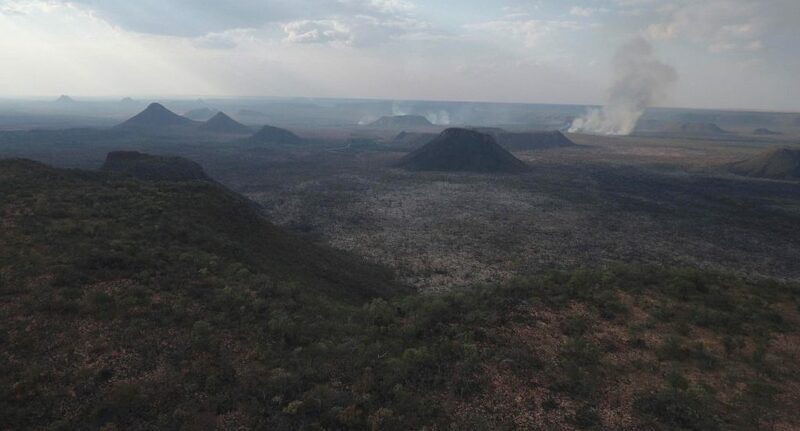 A charred landscape after deforestation in Bolivia. Both Cargill and Bunge said the report seemed to inflate its role in the region’s deforestation. Cargill’s share of soy in the Bolivia municipalities in which it operates came to about 8 percent, Cargill said. Meanwhile, in Brazil’s Matopiba region, Bunge’s share was about 20 percent, the company said. And soy is just one crop behind deforestation, said Stewart Lindsay, Bunge’s vice president for global corporate affairs. In an interview, Cargill chief executive David MacLennan said the company was studying the allegations of deforestation in Bolivia and Brazil linked to the company. “If there’s something there, if it’s substantiated, we’ll do something about it,” Mr. MacLennan said. “If that’s accurate, it’s not acceptable.